I’ve always found that book corners need to be inviting, comfy places where children and adults want to spend time. 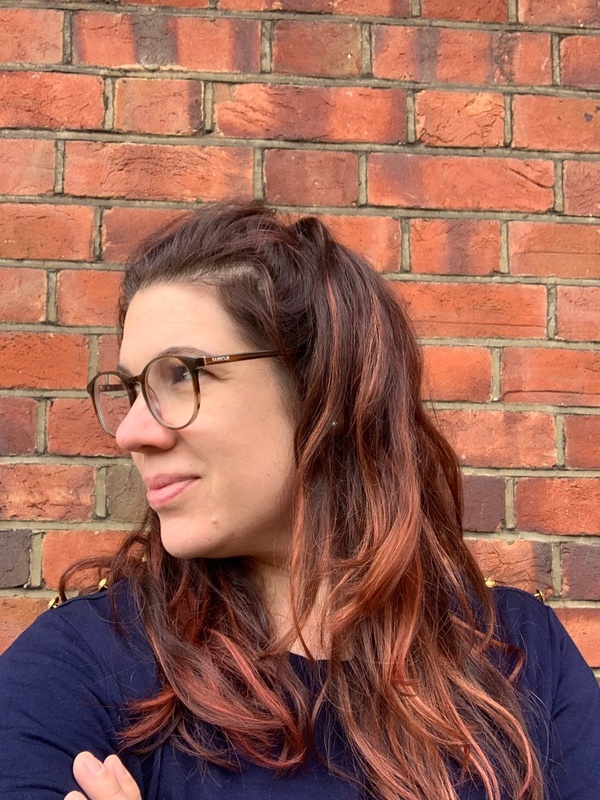 I wanted to share few ideas I’ve used in my classroom over the years as well as some inspiration taken from other teachers and colleagues. It may sound ridiculous but I don’t just have one book area at home, I have little baskets or shelves of books all over. 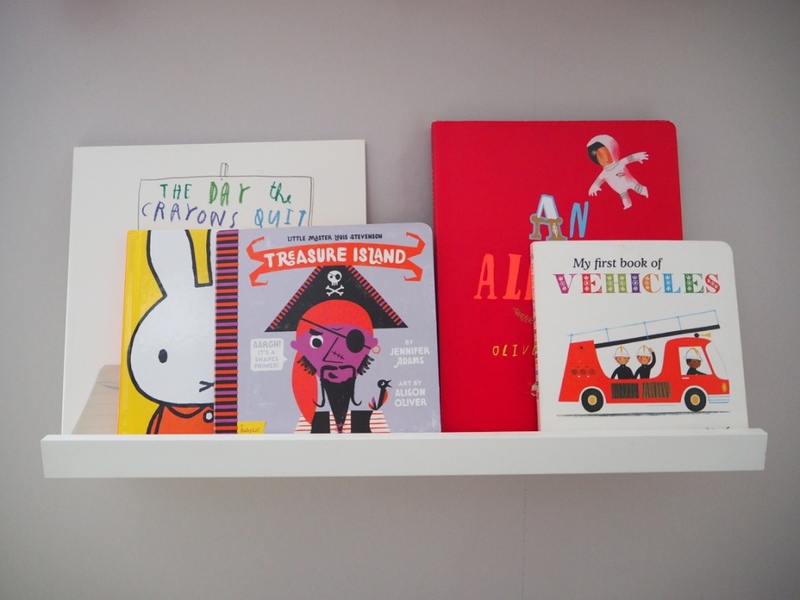 For my son’s book corner in his bedroom I have kept it simple, partly due to having the time but also not wanting to overwhelm him with too much text. I’ve used a teepee as the base with a couple of cushions. 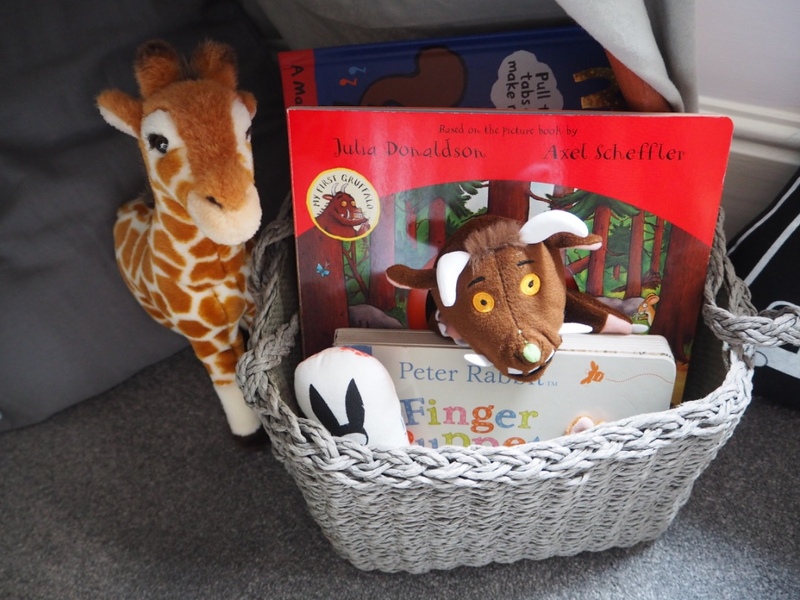 I’ve used baskets I had at home to pop the books in, I haven’t separated them into fiction or non-fiction yet as reading at this age is just to explore and learn to love books! I rotate the books often. He also has a few puppet books and some cuddly toys. I decorated the teepee with some simple battery powered lights to make it more inviting. Other items I tend to swap in and out of the area are alphabet flashcards and letter blocks. When starting a new theme in school, ask the children what they would like. It’s important to make the theme appropriate for your class. The theme can easily be related to a book. Good book examples are The Gruffalo or Where the Wild Things Are. All the animals, the forest and the text, so much can be gained from sitting in an inspiring area. 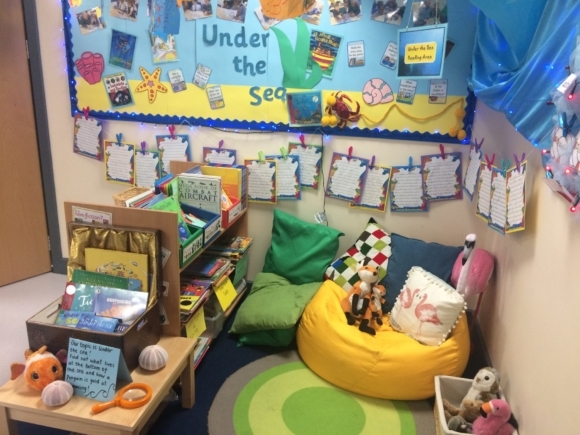 Other types of themes could be underwater, pirate ship, beach, space – choose something different to your current role play area. Once you have decided on a theme it can be easy to decorate with twinkly lights and fabric. Fabric is a cheaper way of making something inviting, hang it over like a tent to lower the height. 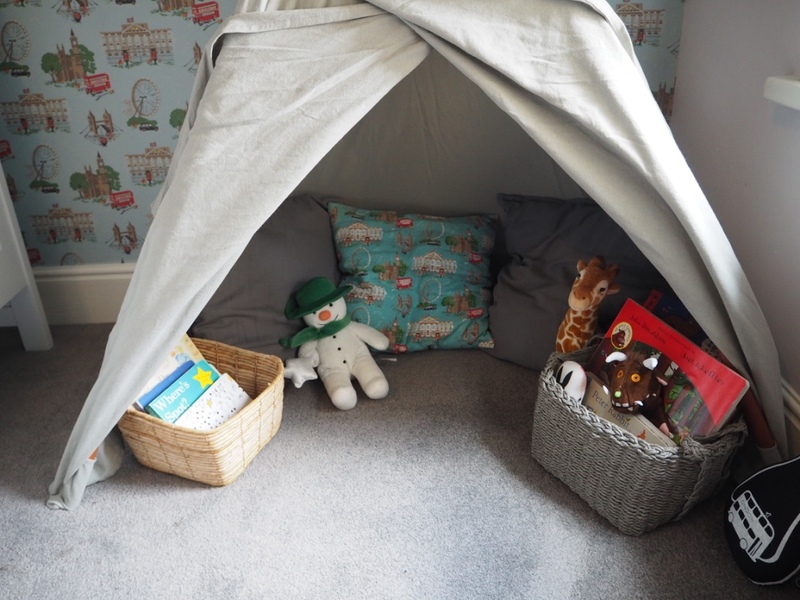 A great start is just having a tee-pee or small tent, however, this can be expensive so purchase a couple of metres of lovely, cheaper fabric. I spotted in Ikea some bed canopies which would also work. Now for the really important part – the books! I often forget how much text there is in everyday life; signs, posters, leaflets, recipes. 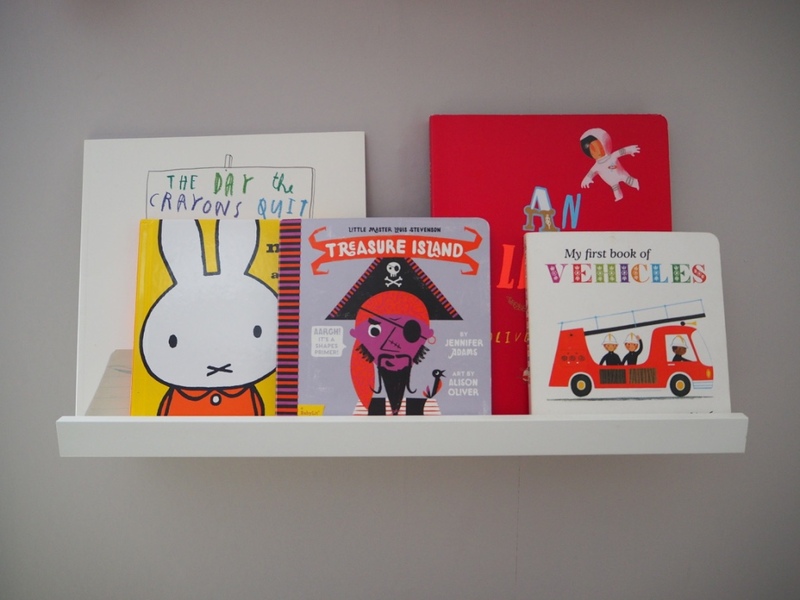 I’ve found it’s great to include these into book corners, children love exploring through different items. I try and collect leaflets from different places for children to look through. Pop in a few texts from everyday life as well such as maps of the local area, local leaflets from events or posters. Of course you want age appropriate range of fiction, non-fiction, comics, magazines and poetry text. I’ve also found some children like to explore more challenging text, don’t limit what you give the children as long as it’s appropriate in content. The opposite applies here too. Give children less challenging texts which they have might have read when they were younger or might have read with their siblings. This underwater themed book corner is an amazing example of this put into practice. 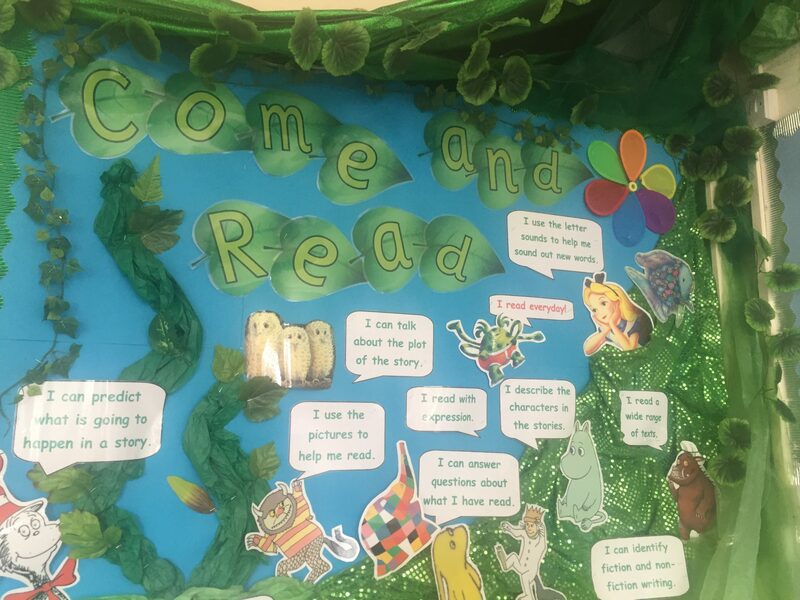 Included are a range of books categorised into their different genre, cosy seating alongside puppets and cuddly toys relating to different stories. The book corner has been linked to the current topic which makes a feature of a theme, alongside some artefacts as well. Don’t just stop at books in a book corner. Most of the love of books comes from chatting about them, exploring and enjoying them. They don’t need to be completely quiet areas (although quiet sometimes is important). Learning to read is a lot easier if you’re able to talk about books and listen. I sometimes think of book corners as mini-role play areas – why not use this place for group reading, speaking and listening activities. Puppet books, hand and finger puppets, or story telling hats are a great idea to keep children interested. If you don’t have puppets there are cheaper ways of creating them. You can print or photocopy characters from the text and stick onto lollypop sticks. Or for storytelling hats, use a wide band of card to make a couple of paper crowns and add characters to the top. 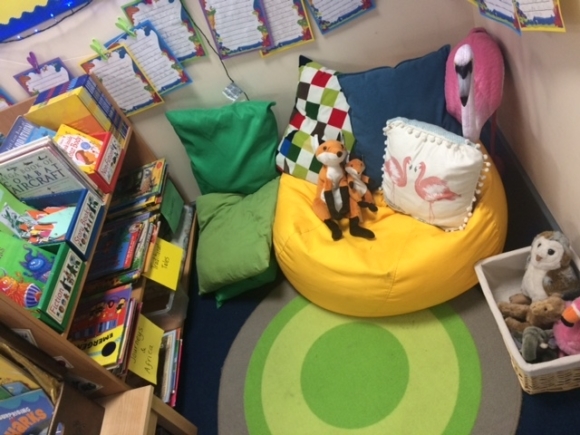 If you are short of space and it’s not possible to make a reading nook; think about using other spaces, such as boxes, shelves, pop up story areas. With a reading shelf, have a theme, pop on some puppets, books and items to support that story reading. 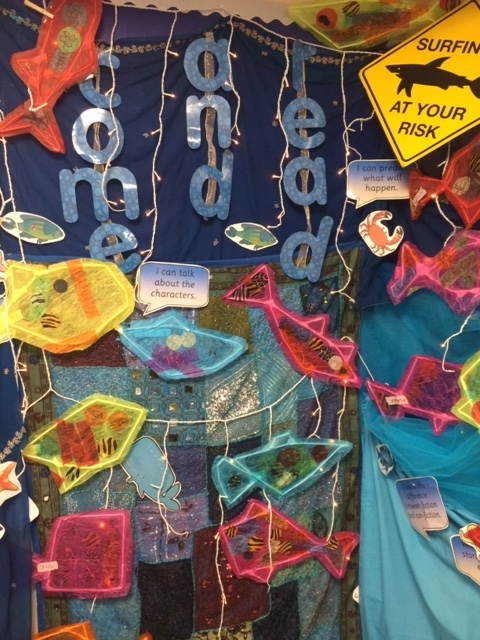 This is a great way to keep changing the theme with the children’s interests. Don’t forget your outdoor space, this can create a wonderful reading nook! 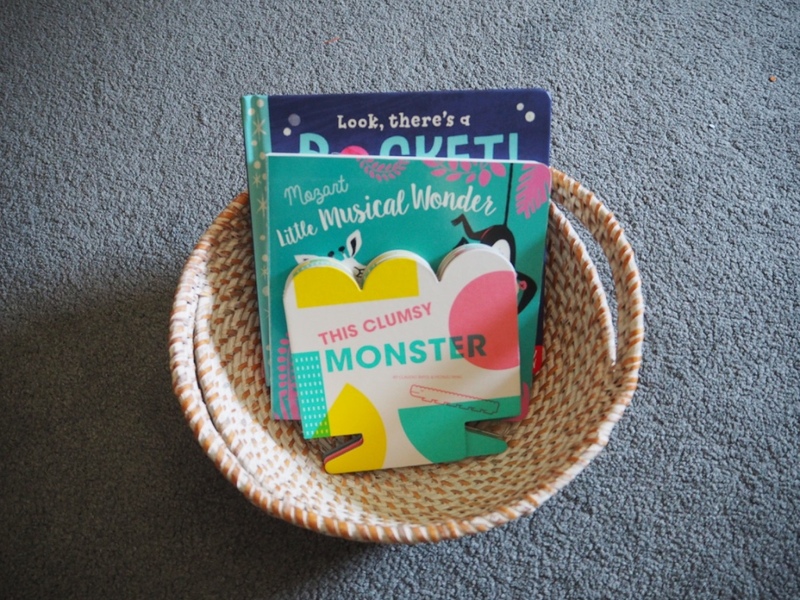 Pop out a basket of books with some prompts around the space or in your garden. Reading can be done anywhere. 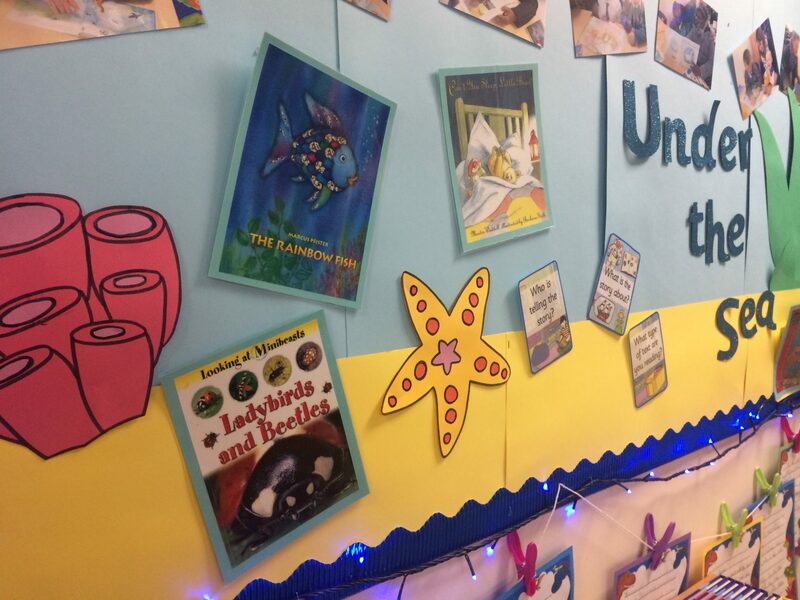 When creating a book corner within a classroom it’s important to label the different types of books and genre. An enlarged copy of a book is also great, Big Books are used a lot in school. They do seem old fashioned to some; as you could easily just down load a Power Point to put it on the screen but these are an amazing resource for children to explore text as a class, group or pair. Nothing beats being able to see illustrations and text in a book. If you wanted a Power Point though try SlideShare it has a huge range of examples of different books, and is a great resource to dip into. Both adults and children need a few prompts every now and them. Hang some key questions in the area such as “Who is the author?”, “What type of book is it?”, “What’s happened to the character?”. Sometimes I’ve included images of different types of books labelling the different parts e.g. title, author, illustrator, where to start reading. Below is an example of “I can” statements used in a similar way; I can talk about the plot of the story or I can read a wide range of text. 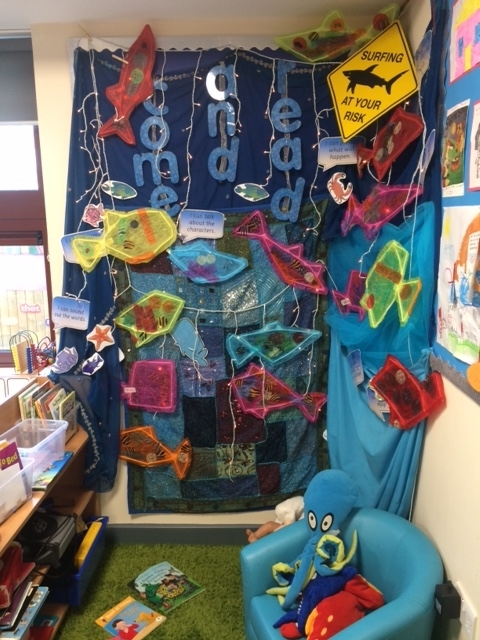 During the year you can add children’s learning to the area, for example this underwater theme has included an art activity of fish. It’s always best to celebrate their art and learning in the classroom. Wouldn’t you love to read underneath your own artwork. 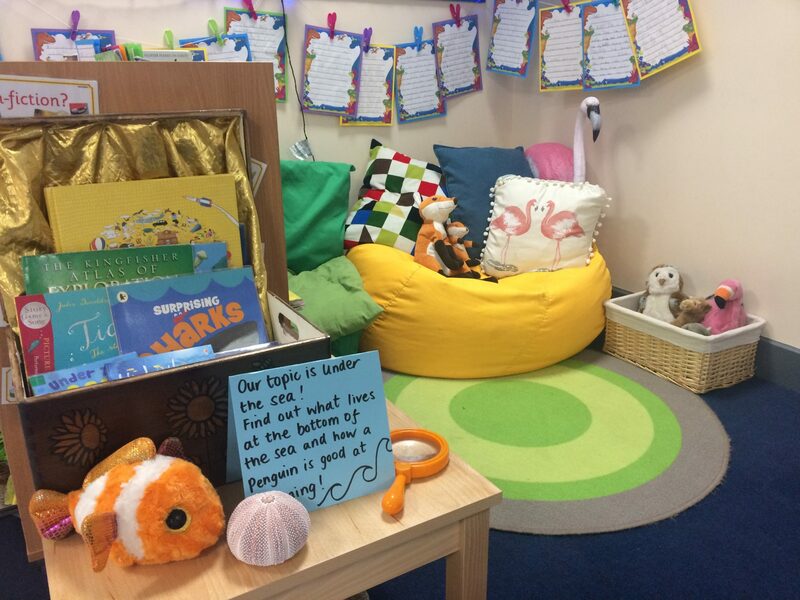 A big thanks to my previous colleagues for sharing their amazing photos of their book corners, a huge amount of time and care goes into creating these inspiring areas for the children. They are amazing!